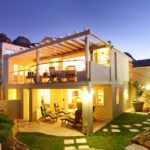 Why stay at TOP VIEW VILLA? 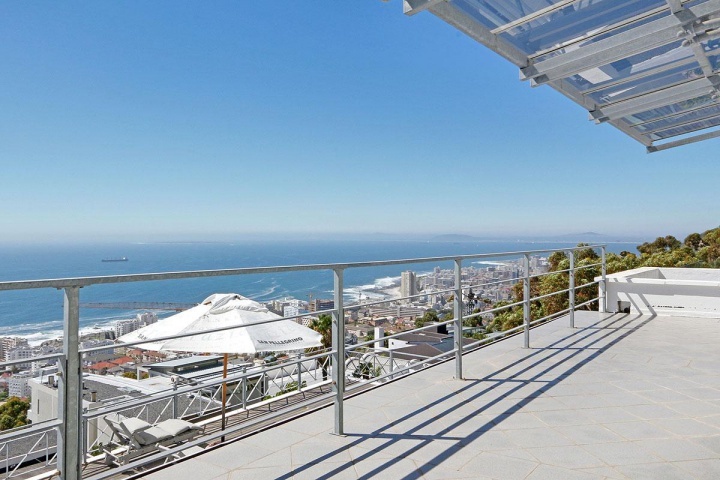 Situated in Ocean View Drive in Bantry Bay, this villa is on the top floor of a dual dwelling. 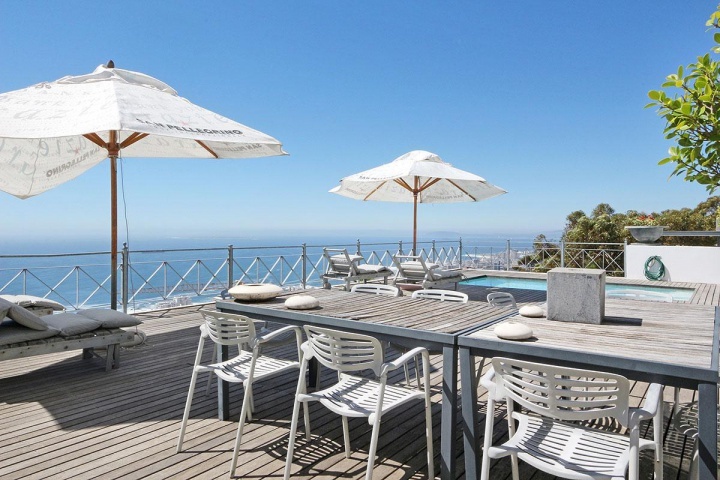 The expansive deck has magnificent views of the Atlantic Ocean, spreading from Robben Island to the Clifton beaches. The entry hall leads to an all white decorated, open plan seating, dining and kitchen area which spans the full width of the house. 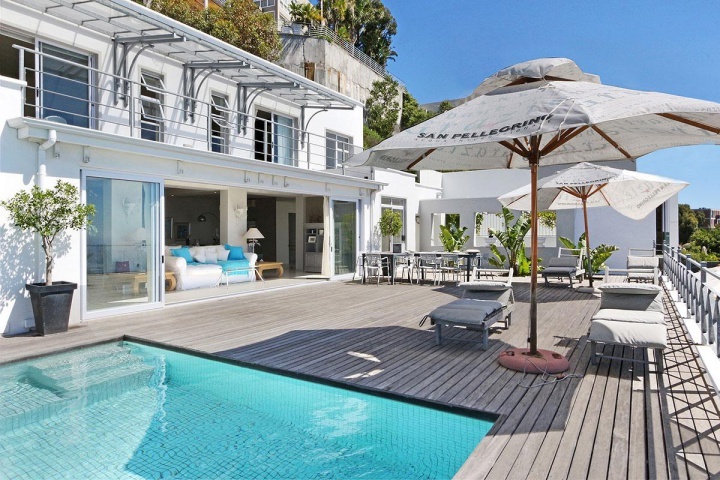 Off the patio on the front facade is a swimming pool and barbecue area, adjoining the kitchen for easy access. 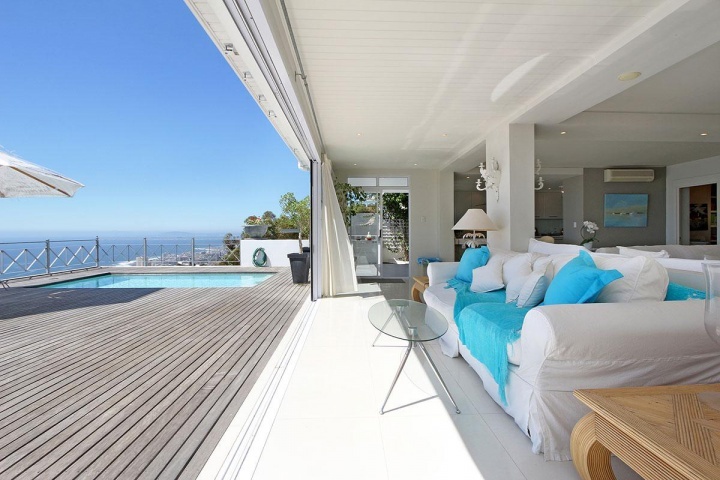 A second seating area is situated just inside the large sliding doors, maximizing the fantastic views. 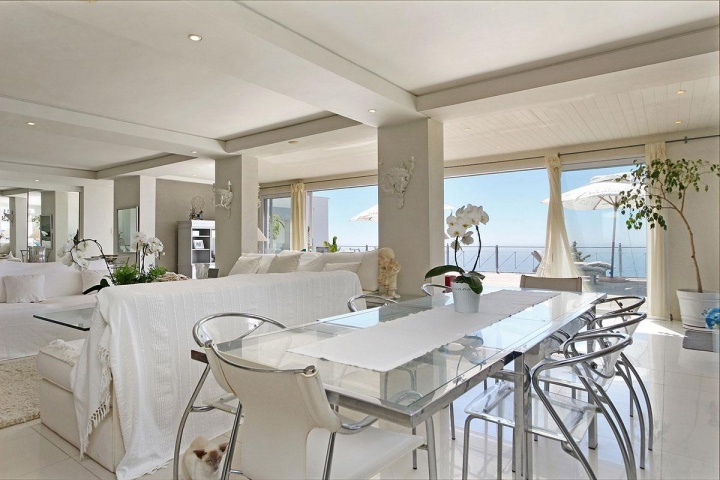 Further seating in a combined dining/lounge under a gazebo is situated on the patio for outside dining and lounging. There are loungers on the deck for sunbathing. 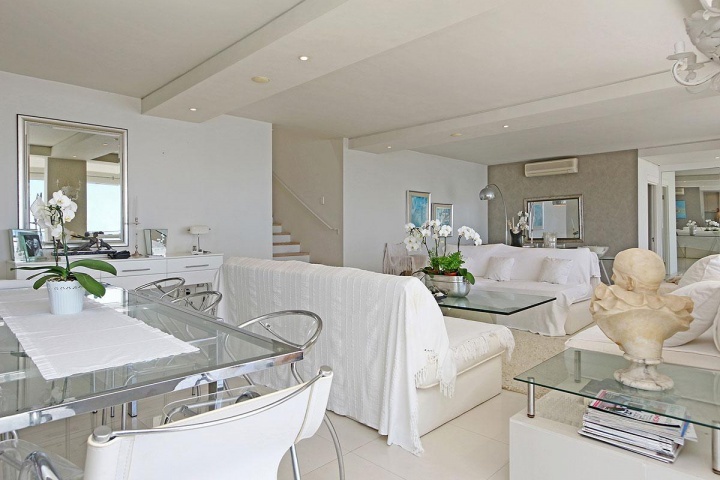 The first bedroom downstairs leads off the main lounge with its own en-suite bathroom and shower. 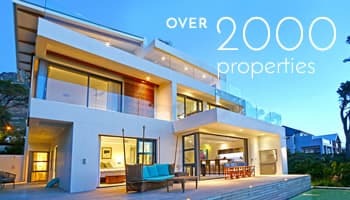 Up the flight of stairs is a second bedroom to the right with en-suite bathroom and shower, leading to the outside deck at the back of the property. 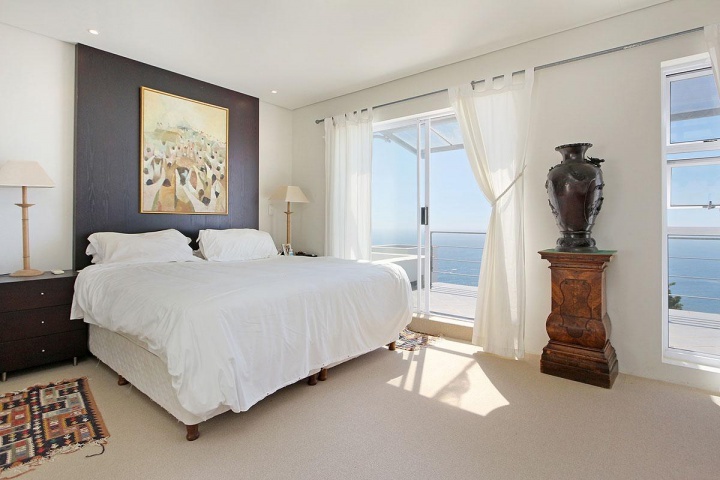 The third bedroom, also en-suite, has access to the upstairs balcony, facing the Atlantic Ocean. 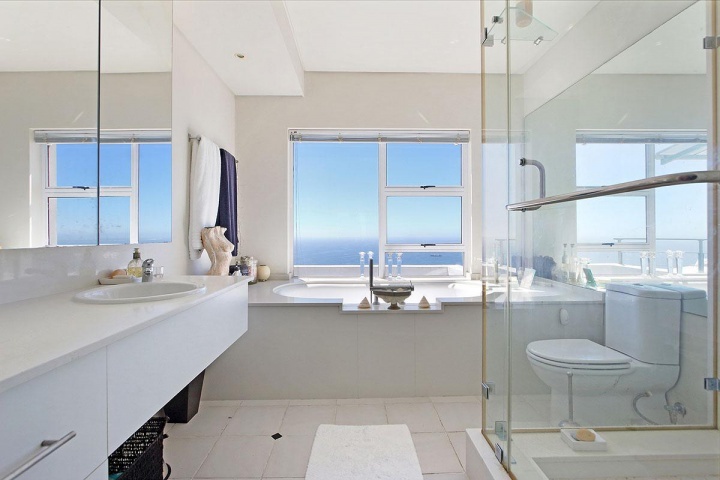 The main bedroom suite has it’s own dressing room and bathroom en-suite, also with access to the balcony and amazing views over the Atlantic Ocean. 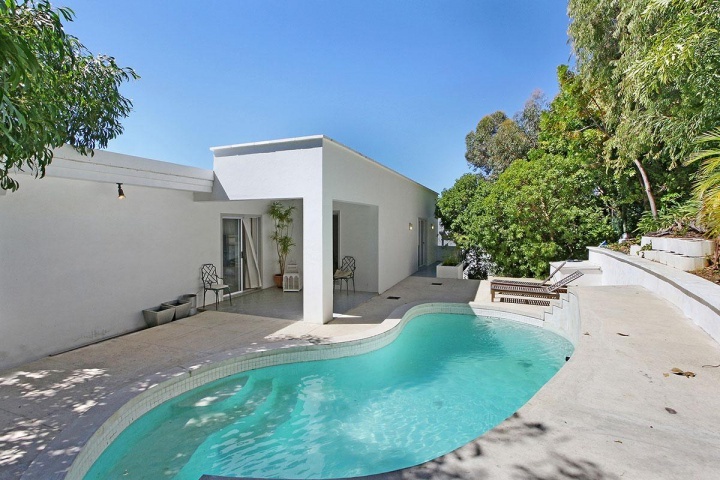 The outside deck at the back of the property holds a real hidden gem with a shaped swimming pool, adjoining large bushes, rock formations and a green wall. The covered patio leading to this deck has seating and deck chairs and is accessible from all the upstairs bedrooms. The property has airconditioning in some areas. Access to the property is either by lift or stairs. The property is serviced daily. 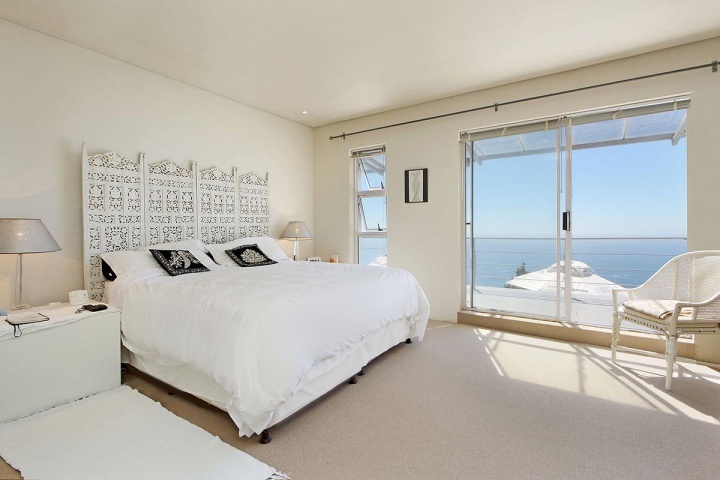 Ready to stay at TOP VIEW VILLA?